The Institute for the Study and Treatment of Pain - What is Pain? Everyone knows what the sensation of pain is, but its definition is not at all simple. Many of us simply treat pain without bothering with its definition, yet we are convinced that we have excellent results. How can this be explained? 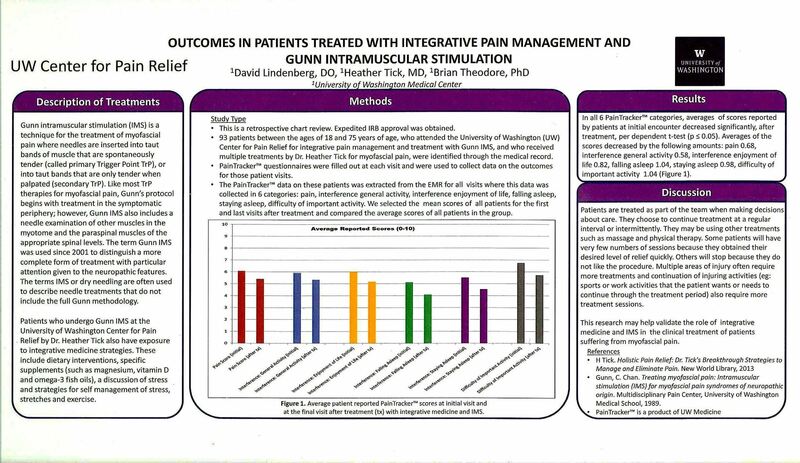 The fortunate part of treating pain is that the great majority of patients we treat recover relatively quickly. In fact, over 90% recover within eight weeks, and it does not seem to matter what type of treatment is given, the body has a great capacity to heal itself (figure 1). The problem begins, when, after several weeks have gone by, after we have tried all forms of treatment, there are still some patients whose pain seems to persist on and on. The dictionary gives several meanings to the word. There is the archaic definition, meaning punishment: “Upon pain of death thou shalt not.... Even today, when pain is mentioned, there is still a deep down, subconscious feeling that there has to be a guilty reason for it and that the patient must “suffer”, which is another meaning given to the word. Another meaning is that of hardship and toil - “he took pains to accomplish this”. The definition used by the International Association for the Study of Pain is: “an unpleasant sensory and emotional experience associated with actual or potential tissue damage, or described by the patient in terms of such damage”. But this definition can be misleading because pain, the central perception of noxious input, is not just one, but at least three distinct entities, and pain can also arise when there is no apparent tissue damage. No wonder the experts are confused and have called it “the puzzle of pain”. For many years it was thought that excess intensity of stimulation onto any of the five senses would cause pain. Today, this intensity theory of pain has given way to that of specificity, meaning pain is a sensation unto itself, with its own specific receptors or nociceptors. Let’s briefly review how pain perception works in the nervous system by using a simple analogy. Imagine a tall building with a central tower and wings. In each wing there are two fire wardens whose specific job is to bring reports on the outbreak of a fire (pain signals) to the Central Tower (spinal cord) and thence to management (brain). Suppose the wardens have discovered a fire in a wing of the building. One of the wardens, old Charlie (representing thin, slow, Type C nerve fibres), shuffles slowly towards the Central Tower. At the same time, young Adam, the other fire warden (representing faster, A-Delta fibers) strides briskly towards the Central Tower. Adam brings his message from skin and mucous membrane, and Charlie from deep tissues as well. In the body, there are many more Charlies than Adams. At the entrance gate to the Tower (the dorsal horn) there is a guard called Tom (the Transmission cell), who passes information to others messengers inside the Tower by writing the message on a piece of paper (Substance P). Tom is a busy person since he is required to pass information from both wardens as well as from other messengers carrying non-painful information (such as touch, pressure and muscle tension). Many of the other messengers are bigger and swifter, and if too many of them arrive at the gate at the same time, Tom is unable to give his attention to the fire wardens. (This is the basis of the well-known Gate Theory of Melzack and Wall - when there is simultaneous input of non-noxious and noxious information, the faster and larger fibers get their messages through the gate first, hindering the pain messages. This is why rubbing the painful area reduces the hurt.) Once past Tom, Charlie’s message is handed to Charlie II in the Central Tower, who immediately climbs the stairs to the next floor. There he passes the message on to Charlie III, who, in turn climbs to the next floor; and so the message is passed on, floor by floor, until it arrives at the brain itself. On the way up, at each floor, Charlie announces his message to the entire floor, alerting all the other wardens, including those who regulate blood flow (vasomotor), sweating (sudomotor), and “goose-bumps” (pilomotor). Sometimes, the alarm spreads to the other side of the body; and occasionally pain may be relayed to a distant location as “referred pain”. Charlies are part of a primitive signaling system, the only one present in reptiles. Their message gets only as far as the floor below the penthouse, reaching the reptilian and old mammalian brains, because when Charlie’s system was evolved, the top-floor penthouse, or thinking brain, had not yet evolved. The older brains are the emotion-controlling centers which regulate our glandular system, as well as the entire autonomic system. The commotion created by Charlie’s message often causes anxiety and switches on the emergency systems for the body’s response of “fight or flight”. Adam’s route is a more recent evolutionary development. It is quicker and more efficient. For instance, when you step on a nail, you not only feel pain, but you can also localize it. Your responses are not only “Ouch!” but “Ouch, there!” Adam’s message is likewise passed to Tom, who relays it to Adam II, inside the Tower (spinal cord). Adam II, however, is smarter than Charlie II; instead of climbing the stairs, he jumps into the elevator and zooms directly to the Penthouse (conscious brain). There, he passes the message to Adam III, who runs down the hall to deliver the message to the map room (sensory cortex) localizing the pain. Since there are only three Adams involved, this system is faster. You locate the pain, before you realize it is painful: “Ouch there” comes before “ouch”. Fire wardens in general are consistent in their alertness. Accordingly, the peripheral threshold of pain does not vary from one person to another. A pin-prick should be felt as a pinprick by everyone, but an individual’s interpretation of pain in the brain may vary: one man’s pin-prick may be another man’s stab. A “high threshold for pain” means that you can cope well with it mentally. The central tower also has an inner stairwell. Charlies traveling via this inner stairwell may meet staff in the inner rooms (the Peri-aqueductal region of the midbrain) who have cooler heads. They often decide to play down the alarm and do so by sending inhibitory messages down to Tom via the inner stairwell tract (the Descending Fibers System). This makes Tom a busy person indeed, since in addition to all his other duties, he has to obey the inhibitory commands to ignore incoming pain messages. To recap, pain receptors send messages to the brain via two main tracts. One tract, the neospinothalamic tract (Adam or A-delta) is newer, faster, and more efficient, requiring only three relays. Adams are situated as a veneer on the surface of the body (skin and mucous membrane) and they function as a frontline defense that reacts immediately to pain, or threatened pain. Nociception mobilizes protection to counteract or to escape from the cause of injury. Adams’ message (for example, a slap on the face) is usually fleeting, and rarely gives rise to persistent pain. Unlike a slap on the face, a blow given forcefully, will likely result in pain which persists for many days. The difference is that tissue cells will have been damaged, releasing intracellular chemical contents (such as Histamine, Serotonin, Bradykinin and Hydrogen ions) that lead to local inflammation. Inflammation is the response of tissue to injury or infection and is the vital prelude to repair processes. The hallmarks of inflammation are easily recognized: redness, swelling, increased local temperature, and of course, pain. 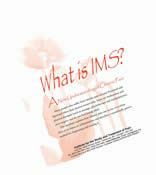 The released substances inflame Charlies, who are the prime messengers of inflammatory pain signals. “Acute” pain becomes “chronic” when ample time has been allowed for inflammation to subside, and wounds to heal. At this stage, the patient is more concerned with caring for the injury than its cause, and may be dominated by anxiety. Anguish turns into frustration and depression when it proves difficult or impossible for the condition to be accurately diagnosed or effectively treated. Standard diagnostic techniques and laboratory tests are not helpful. The patient focuses more and more on the condition, and less and less on surroundings. The search for treatment may dominate the patient’s life. The word “psycho-somatic” may insinuate itself into your mind, and if compensation is involved, the ugly suspicion of malingering may arise. These terms should be avoided because they are imprecise and do not define the underlying pain condition. “Acute” simply means “coming sharply to a crisis”, and one thinks of diseases that arise suddenly and are, hopefully, self-limited. Acute tonsillitis, for example, is a sudden inflammation of the tonsils. “Chronic” pain does not indicate the pathology involved. It can result from ongoing nociception or inflammation; psychogenic pain; or from disordered function in the nervous system that causes the pain sensory system to become overly sensitive and ordinarily non-noxious signals misinterpreted as pain. The three categories of pain are different entities, and it is meaningless to say “acute” pain changes over to “chronic” pain after X number of weeks. In the third category of pain, examination typically fails to reveal a source of pain. The astonishing reason is that there is no noxious source in the generally accepted sense of the word. The following anecdote may explain this seeming paradox. When our house was burgled, we decided to install a burglar alarm system. The experts installed an elaborate system. There were pressure-sensitive pads under the carpet, infra-red visual sensors in the library, temperature-sensitive detectors in the living room, and so on. Activating any one of these would cause a siren to sound, and a message to be relayed by phone to the police station. In effect, the experts had created a sensory system not unlike the nociceptive mechanism of the body. The detectors are like nociceptors. The siren is like a cry of pain. The telephone lines are like nerves. The policeman at the station is like the central nervous system. In the very first month after the installation, there were three alarms and the police were quick to respond each time. However, all were false alarms. Finally, when I discussed the situation with the police, I was told that the majority of alarms are false. Generally, it is the installation that is at fault. Detectors malfunction and are over-sensitive, reacting abnormally to normal household inputs. Instead of the weight of a man’s step on the pad, a cat can trip the alarm. Instead of the body temperature of an intruder, the setting sun can activate the heat detector. Sometimes, the alarm system can activate itself without any apparent cause. This gave me an insight into the nature of pain when there is no obvious pain source. Is it possible for an abnormal nervous system to be up to tricks and produce pain when there is no noxious input? Is it possible for pain be perceived from excessive sensitivity of the nervous system? If so, then the search for a tangible source of noxious input (just like the search for a burglar) is pointless. The smart policeman also put me on the right path. To diagnose and remedy the alarm problem, we would require the services of an alarm system expert. In pain, the corollary is obvious: an overly sensitive nervous system, likewise, requires desensitization. Physiologists recognize that malfunctioning or neuropathic nerves and muscle can become overly sensitive and generate abnormal impulses -- the technical term for overly sensitive structures is Supersensitivity, and its appropriate treatment is desensitization. 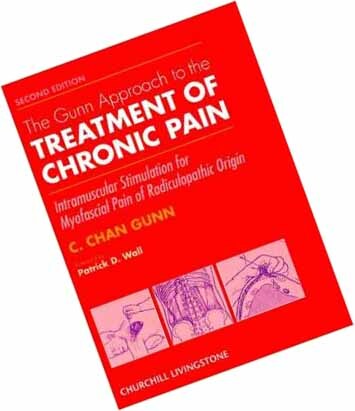 I have named this type of pain, neuropathic pain, and to understand it, one must understand three key factors -- Neuropathy, Prespondylosis, and Cannon’s Law of Denervation. An ideal life pattern would be to live in optimal health till the end of your life span. But sadly, you are slowly but surely degenerating. Degeneration normally proceeds imperceptibly, often, with no symptoms. But optimal health is a state of total physical and mental well-being, not merely the absence of symptoms; the absence of symptoms, does not indicate true optimal health. Of all the parts of the body which degenerate from the ravages of wear, tear and time, the most vulnerable and crucial is the nervous system. This is why: in the growing child, tissues grow by cell division and there is an increase in the number of cells (hyperplasia). However, when the body has attained adult size, little cell division activity is required to maintain a steady state. Adult tissues respond to wear and tear partly by cell division and partly by enlargement of pre-existing cells (hypertrophy). As age progresses, there is a slide towards the latter, so that there is less and less cell division. Some tissue cells, such as blood cells and those of the gut, continue throughout life to be replenished by cell division. Other parts of the body, such as the liver, kidney and bone have cells that are also capable of good cellular proliferation, and replicative exhaustion only occurs after prolonged injury. But nerve cells lose virtually all their cellular replicative properties during youth. Healing in nerves, is slow and patchy. It is like a growing child who is given new clothes as he grows out of them; but when he has reached his full-grown size, he has to make do, for the rest of his life, with old clothes that are patched up and again and again. A nerve, even without structural damage, can have altered function: this commonplace condition is Neuropathy; and neuropathy that occurs at the nerve root is called Radiculopathy. One inevitable consequence of degeneration is the gradual disintegration of the intervertebral disc and surrounding tissues or Spondylosis. Spondylosis produces pathology locally at the spine, and can also cause radiculopathy leading to pathology, such as dysfunction and dystrophy, in structures innervated by the nerves. Spondylosis and radiculopathy is usually unsuspected unless there is associated pain. I have named the silent stage of spondylosis, when there is no symptoms, “Prespondylosis””. Impingement of the nerve by spondylosis, though common, is not the only cause of neuropathy. The causes of peripheral neuropathy include several hundred diseases or agents. Some common ones are trauma or injury superimposed on the effects of wear and tear, infection (e.g. diphtheria), general metabolic diseases (e.g. diabetes mellitus, thyroid disease), vitamin and trace element deficiencies, environmental pollutants including chemicals and radiation, inherited neuropathies, carcinoma, and our relentless foe, old age. Simply put, when a nerve link to a part of the body fails, that part of the body becomes highly irritable and extremely excitable. They used the term “supersensitivity” because the sensitivity in denervated structures increases not just by a small amount but sometimes by over 1000 times. Subsequently, they demonstrated that supersensitivity can occur in practically every part of the body including skeletal muscle, smooth muscle, spinal neurons, sympathetic ganglia, adrenal glands, sweat glands, and even brain cells. Neuropathic structures over-react to a wide variety of inputs including stretch and pressure. Supersensitive pressure receptors are the reason why neuropathic muscles are tender. Some individuals with musculoskeletal pain can even feel barometric pressure and temperature changes and are able to predict rain. Tenderness occurs at zones of innervation where pressure receptors are most abundant. The tenderness is focal, and, when induced, may radiate to other areas. “Trigger Points” may also occur at musculotendinous junctions. Of all the structures which can be affected by supersensitivity, the most significant, in relation to pain, is striated muscle. In a supersensitive muscle, the neurotransmitter acetylcholine acts, not only on motor end-plates situated at the zone of innervation, but on newly formed “hot spots” or clusters of receptors over the entire surface of the muscle fibre (see page 40). The result is that the entire muscle responds abnormally to an arriving signal. Every gardener knows what this means. For example, when a bed of roses dies, the weeds move in to take over. Whenever muscle cells lose their nerve supply, adjacent surviving nerve axons send sprouts to invade the deprived sector and take over, enlarging their territory. Sprouting distorts the normal pattern of muscle contraction (and are seen in electromyography as “Giant waves”. There is another reason for neuropathic muscle to become “twitchy”. Normally, acetylcholine is released in small measured amounts, and after performing its function, is immediately destroyed by Acetylcholine Esterase. In neuropathy, the production of acetylcholine esterase is reduced; therefore, stimulation is exaggerated and contraction is further distorted. All cells contain potassium inside, and sodium is kept outside by the cell membrane. Some sodium invariably leaks into the cell but is normally pumped out by the Sodium Pump. In neuropathy, the sodium pump does not function properly and this upsets the composition and electrical properties of individual muscle cells. Individual fibers may then generate spontaneous, asynchronous contractions known as Fibrillations. It is like children at school: when the teacher is out of the room, the fun begins. These contractions are the result of changes in the muscle membrane and are not caused by acetylcholine. Abnormalities also occur in neurons. A supersensitive nerve fiber can be sensitive to chemical transmitters at every point along its entire length instead of just at the terminal. As in muscle fibers, denervation of neurons also induces sprouting in adjacent neurons and they become more receptive to foreign innervation. Thus, both muscles and nerves may accept contacts from many other types of nerves, including autonomic fibers and even sensory nerve fibers. Short circuits or “Ephapses” may occur. Sometimes abnormal contacts between autonomic nerves which control vasoconstriction and other sensory nerves may give rise to Reflex Sympathetic Dystrophy or Causalgia - severe burning pain, impaired motor function, and restricted circulation. You can “see” and “touch” Type Three pain once you are aware of its pathology. The subtle signs are to be found within the distribution of the neuropathic nerve (usually segmental since neuropathy is commonly at the nerve root - i.e. radiculopathy) and involves all the components of the nerve: motor, sensory and autonomic. To keep healthy, the welfare of every part of the body needs a vital factor known as the Trophic Factor, which is delivered by the nerve. When a part of the body is deprived of the trophic factor, it “A-trophies”. in neuropathy, the flow of this factor is impaired. Lomo has demonstrated that supersensitivity and other abnormal features of neuropathy may be reversed by direct electrical stimulation. In effect, Lomo showed that the trophic factor is energy in the form of electricity. It is relevant to note that all physical methods of treatment which have been shown to give relief are ultimately forms of energy which stimulate the body via specific receptors. 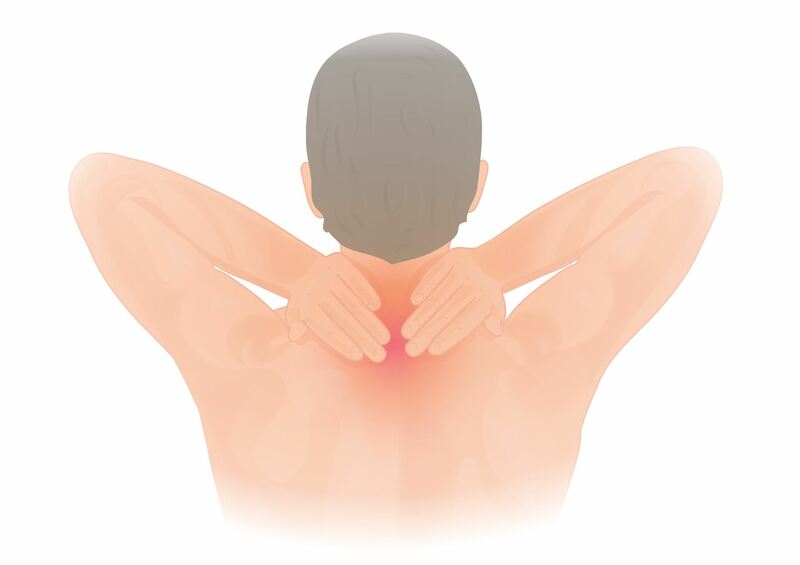 If your shoulder aches, your natural reaction is to massage it. You are giving an input of mechanical energy sensed by specific tactile and pressure receptors. Other forms of mechanical energy are exercise, traction and, of course; manipulation. These are sensed mainly by muscle spindles and Golgi organs. Temperature receptors may be stimulated with thermal energy - eg, hot or cold packs. Other forms of energy are radio waves, electromagnetism and laser beams. All local treatments are effective only if the nerve is still functioning. Stimulation is sensed by receptors, transduced into an electrical signals and sent to the spinal cord. It is the reflex electrical impulses bouncing back from the cord to the affected structure which stimulates it. If all these types of treatment are helpful, why then is Type Three pain so stubborn? The answer is that these treatments all have their inherent limitations. The sore part may be too deep, and treatment may not be able to penetrate sufficiently or accurately. However, their one greatest drawback is that they are passive methods; when you stop the treatment, the extrinsic source of energy ceases. They are but temporary substitutes for the body’s own bioenergy. It is like giving insulin to a diabetic. It helps for a short while but does not solve the problem. There is, however, one ideal source of energy. It is the body’s own healing force, which is easily tapped. The paradox is that Type Three pain has no “injury” or inflammation which the body can recognise, and inflammation is the necessary prelude to healing. Galvani, in a series of experiments which marked the beginning of electrophysiology, demonstrated in 1797 the existence of electricity in tissues. He was able to detect the electrical potential following injury and called it the “Current of Wury”. This is the intrinsic source of energy which I believe is the primary agent in promoting relief and healing of Type Three pain. instead of calling for external forms of energy with their inherent limitations - you can summon your body’s own intrinsic force. It is very easily achieved by making minute injuries with a fine needle as in acupuncture. The electricity generated is always the right amount: its voltage is never too high or too low (about 90 millivolts). Unlike extrinsic sources of energy, the stimulation remains in effect for several days, until the miniature wounds heal; also, the needle may be precisely placed at that part of the muscle where nerve endings are most abundant - the zone of innervation. Acupuncture has a unique benefit not available in any other form of local treatment. Recent research has shown that a substance, known as Platelet-derived growth factor (PDGF), is released from blood at sites where there is damage to blood vessels. PDGF attracts cells to the damaged area and induces cells to proliferate. In effect, blood is a healing agent, bringing to damaged sells a gene-factor which cells require to multiply. There is no other treatment I know of which does this.